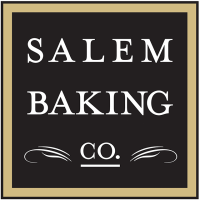 Home > Companies > Featured Brands > Salem Baking Co.
For generations, Salem Baking Company has been perfecting the art of Old World Moravian baking using time-honored recipes and the most coveted ingredients from around the world. The company specializes in crafting distinctive products that celebrate pure, bold flavors. Artisan product lines include Moravian Cookies, Thin & Crispy Cookies, Shortbread Cookies, Artisan Crackers and Cheese Straws. Salem Baking Company presently sells wholesale products to over 10,000 gourmet and natural food outlets, as well as specialty gift shops and department stores throughout the country. Featuring specialty packaging with high appetite appeal, these sweet and savory products are perfect for entertaining and indulging year-round and make unique gifts any time of year.